The Hashy insulated stainless steel water bottle not only keeps you hydrated all day, but also matches well with your urban lifestyle with the stylish design. Like the idea? Let’s have a look. 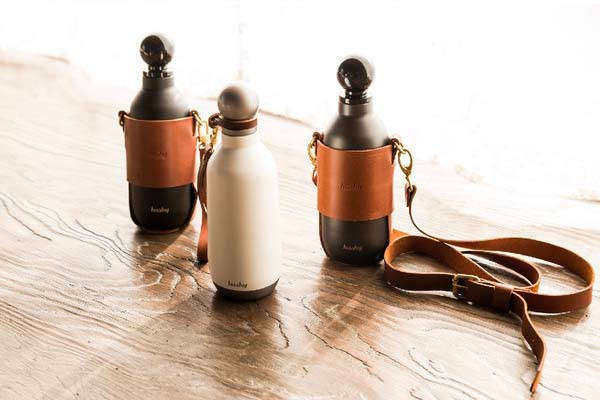 The Hashy is a beautifully crafted and practical water bottle that measures 8.75 x 3 inches and weighs 0.6 lb. As we can see from the images, the bottle shows off a sleek, smooth appearance design with two classic optional colors: black and white. 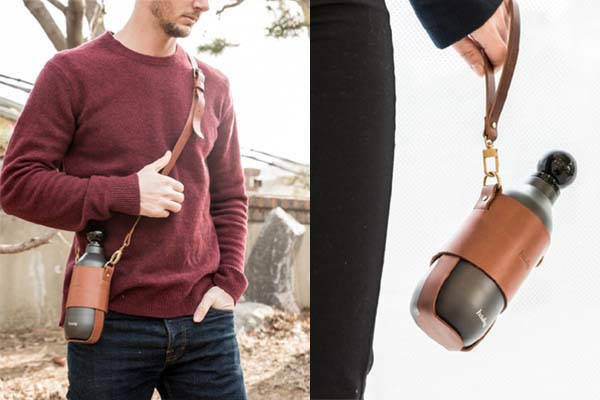 Meanwhile, the optional leather bottle wrap, leather hand strap and shoulder strap not only allow for flexible carrying, but also add some classic aesthetics and premium feel. The water bottle is made from stainless steel for a durable and lightweight construction, and the double wall vacuum insulation design keeps your beverage cold for 24 hours or hot for 12 hours. 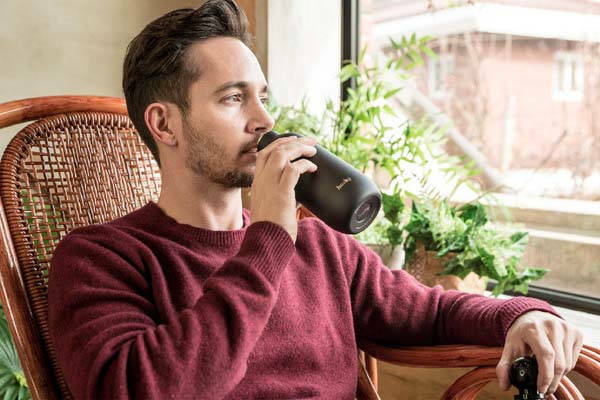 Furthermore, the leakproof silicone cover lets you reliably transport your drink without worrying about spilling, while the spherical head allows you to carry it with two fingers. Moreover, the perfectly sized mouth not only allows for leak-free sip, but also makes it easy to clean or fit most ice cubes. The 500ml inner volume ensures it meets a variety of needs. The team behind Hashy is raising fund for the product in Kickstarter. We can pledge $23 to preorder the insulated stainless steel water bottle. It will be shipped in June 2019.